You may have heard that reviews are the new word-of-mouth, but do you know how to really use them strategically? Here are five ways you can use reviews in your digital marketing strategy to find and attract more customers. There are a lot of misconceptions about reviews floating around, but hopefully, you already know that every small business needs them. That’s why we’ve covered a lot of ways to use, display, manage, and get more reviews. When it’s all put together, you can build a marketing strategy that’s strengthened by your business reviews. Here are the best ways to include your reviews in your digital marketing. 1) Share your best reviews on social media. It only takes a few minutes to share your reviews on social media. The most common ways are to take a screenshot, link to the review, and create a graphic template. You can also share them using designs from Small Thanks with Google. I talked in detail about how to share your best reviews on social media in a past article. The reason this works is because it provides social proof. The more of your friends you see recommending a certain business on Facebook, the more likely you are to try them out. You might even go somewhere you would never normally try just because you saw something your friend wrote on Facebook about it. Now with Facebook Recommendations, getting and sharing recommendations is even easier. 2) Add reviews as social proof on your website. Another place you need social proof is your website. Anyone can create a great website but including social proof converts more customers. If you build a website around your review content, you will find that you can convert even more. Who better to attract new customers than the ones who had the best experiences? If you need help putting reviews on your website, find out how easy it is to use WP Business Reviews with this demo. A lot of businesses and nonprofits also collect reviews, feedback, and testimonials through email, written notes, and other methods. Handwritten testimonials can also go on your website as social proof. When you use WP Business Reviews, you can even mix them in with your reviews from other platforms like Facebook, Google, and Yelp so they look the exact same. The landscape of online reviews changes with technology. Get the latest digital marketing and reviews news when you subscribe to our newsletter. 3) Generate better SEO by including them on your website. 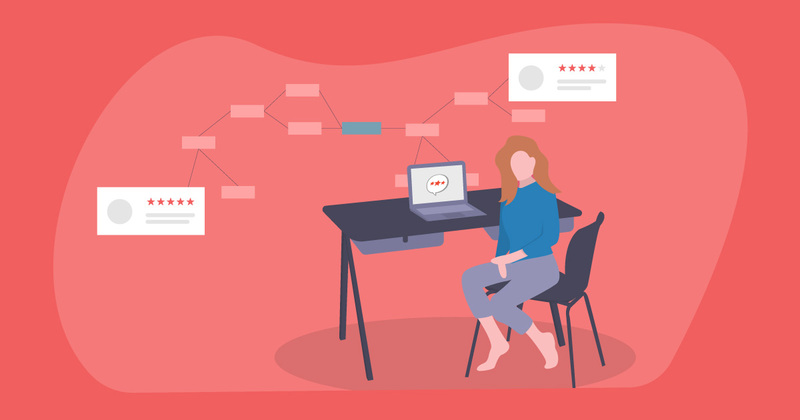 “When you list reviews pulled from other sources, like Yelp, and choose to link back to the original post, the backlinks to the review sites like Google and Yelp help your domain authority and organic search rankings go up even further. Read more about SEO and online reviews in the full article. 4) Include them in your marketing emails and newsletters. If you’re not using email marketing, you should be. For every $1 spent on email marketing, there is an average ROI of $38 (source). It’s the highest converting marketing tactic you could use. It’s even more powerful when you include social proof, like your reviews. There are a few things you can do to incorporate reviews in your email marketing promotions. But you should actually start with customer loyalty campaigns. Creating supportive email drip campaigns for people who recently purchased generates trust in your business. These can end by gently leading your customers to leave you a review, as we do in these templates. More reviews help provide more incentive for people to try your business in the first place. Another method to get more reviews is to gate your WiFi access with an email marketing subscription. If the WiFi access landing page is customizable, you can even include some reviews or testimonials about your business. Someone who may have been there only to use your WiFi might end up purchasing more. 5) Turn the best reviewers into official brand ambassadors. Lastly, get in touch with your best reviewers and ask them to become brand ambassadors. We’ll go into detail about this in a later post, but for now here are some basics. Find your favorite reviews and list them in a document, including the reviewer’s profile information. Look at their profile to see how influential they seem. Use social media connection and influencer rating tools to find their profiles on other platforms and see if they have high ratings. You’re looking for people with a lot of connections and reviews on other platforms. Also, check to see if they have a few other key characteristics and engagement from your target audience. Contact your selected brand ambassadors and offer them your incentive to promote your business. How do you use your reviews? Technology is making marketing more creative every day. How are you using your reviews in your digital marketing strategy?